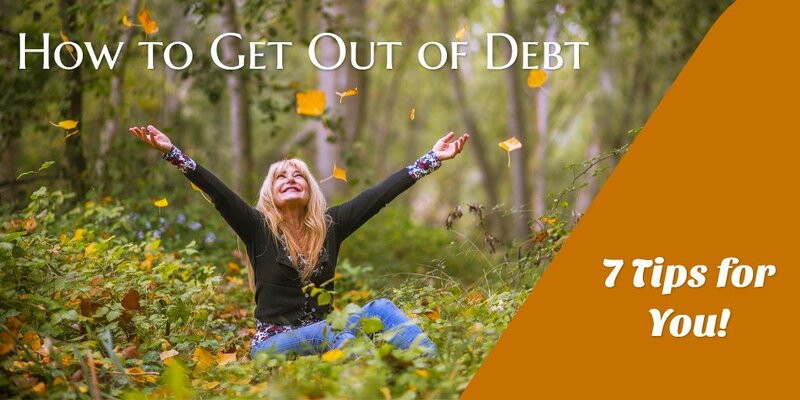 It's Time to Get Out of Debt Southwest Florida! It’s Time to Get Out of Debt Southwest Florida!!! Building a budget is key to any financial plan, but especially so when you’re paying off debt. Once you have your budget, track your progress. You can set yourself up for success by automating as much as possible. Consider any skills you have, such as web design or coding, that you can offer to earn extra cash. There are also side jobs you can pick up from home, like selling old clothes online. This next one SOUNDS simple, but we all do it…. Avoid falling into big-spender territory by heeding signs of overspending. Break the cycle by building a good budget, analyzing your credit card statements and working to build new habits, like cooking at home instead of eating out. Use the calculator on the debt payoff guide to see how extra payments can shorten your payoff time. Making extra payments each month on your debt can also lower your credit utilization ratio, which in turn can improve your credit score. Could a side business give you extra income to pay off debt? Think about your interests and how you might make a small business out of them. Learn about debt consolidation and whether it makes sense for you. You might be able to use a balance transfer credit card or a debt consolidation loan to roll multiple debts into one, ideally with a lower interest rate. Think about your financial goals in the near and long term. Whether you’re looking for a new house or saving up for a vacation, having a clear motivation to get out of debt will help keep you on track. Think before you act! Make sure that you are aligning yourself with your future goals! Save or re-read this article often, to keep you on track!